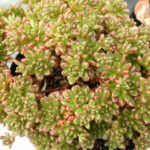 Aeonium sedifolium is a small succulent plant that has delicate branching stems to not much more than 6 inches (15 cm) tall and wide bearing small rosettes of 0.5 inch (1.2 cm) long rounded sticky lime-green leaves streaked with red stripes that radiate upward in the rosette, unlike most of the larger flat topped Aeonium. 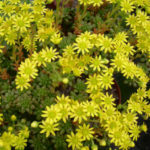 In spring appear the bright yellow star-shaped flowers. 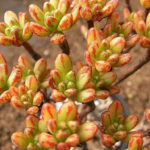 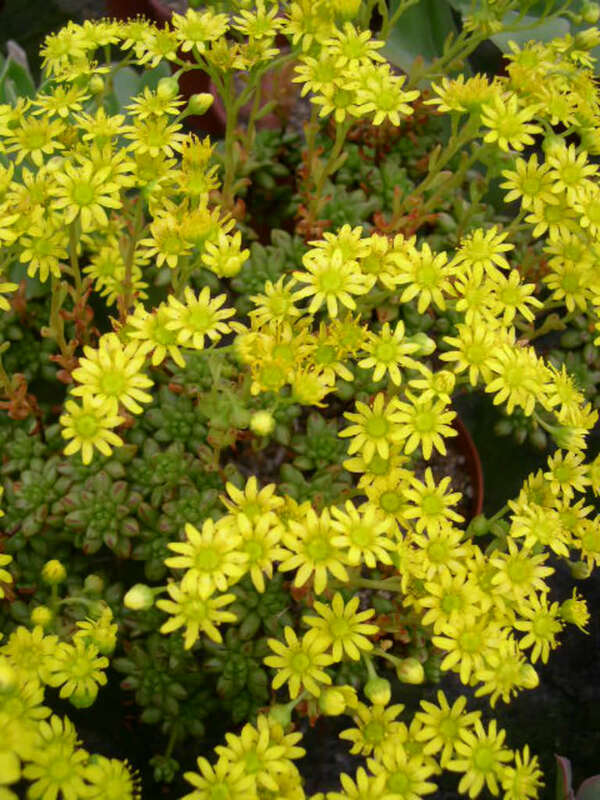 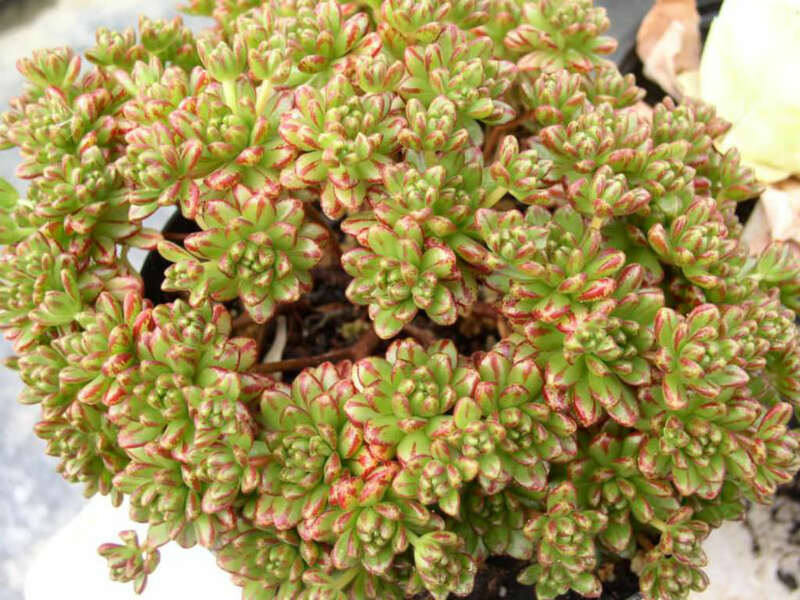 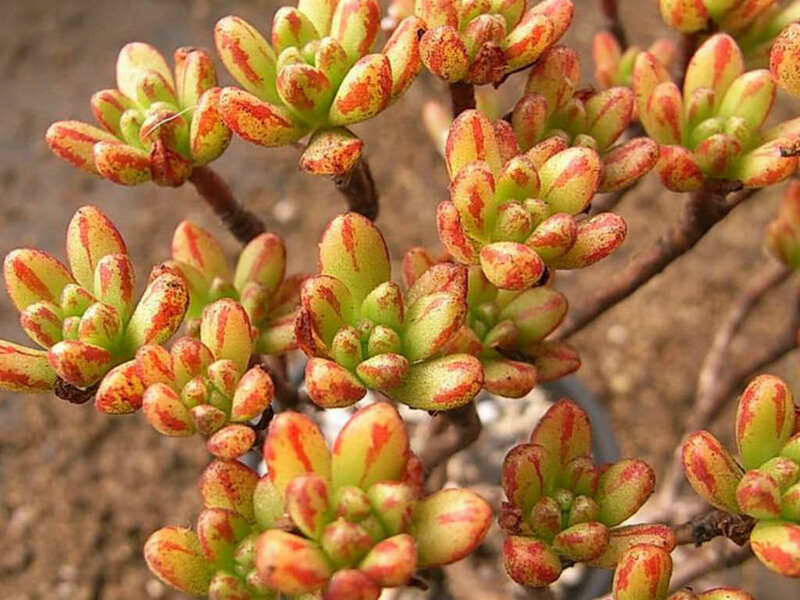 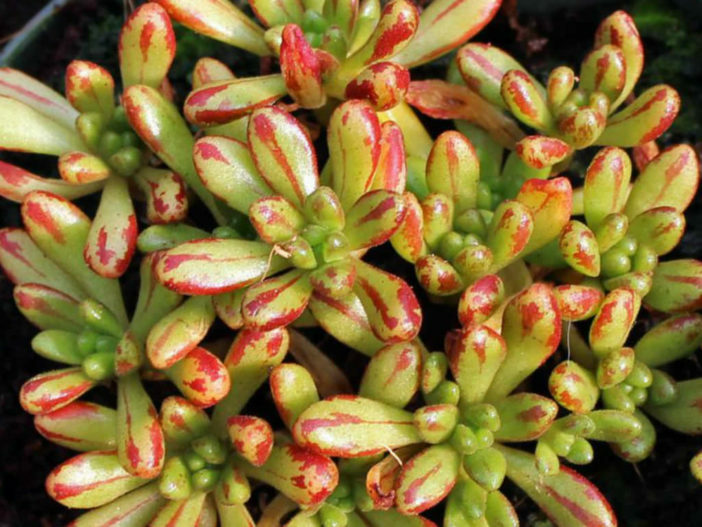 Aeonium sedifolium is native to Canary Islands.